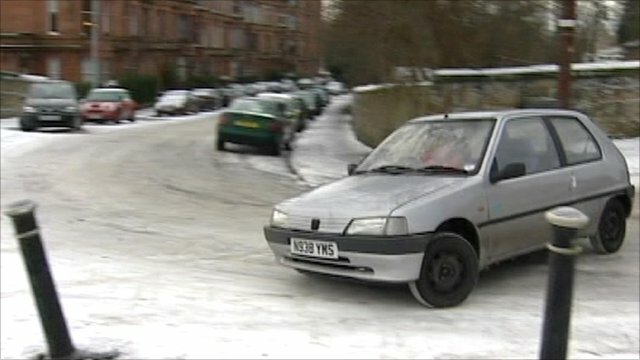 Scotland copes with snow disruption Jump to media player Heavy snowfalls have continued to cause disruption in Scotland, with warnings against non-essential travel. 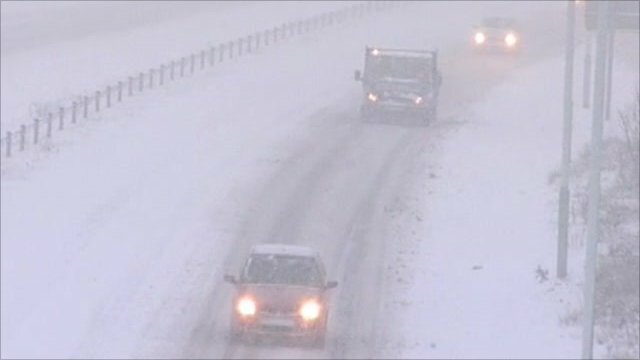 Heavy snowfalls have continued to cause disruption in Scotland, with warnings against non-essential travel. 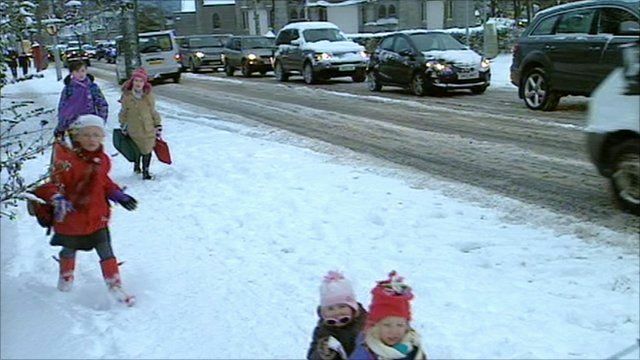 Aberdeen Airport has reopened and spokesman Sarah Campbell said the runway was now ''fully operational'' but a backlog remained.